Previously available in red gold, stainless steel, black PVD-treated steel and titanium, the Skeleton Pure - a Red Dot Design Award winning timepiece from Armin Strom - is now available also in a new white gold version. 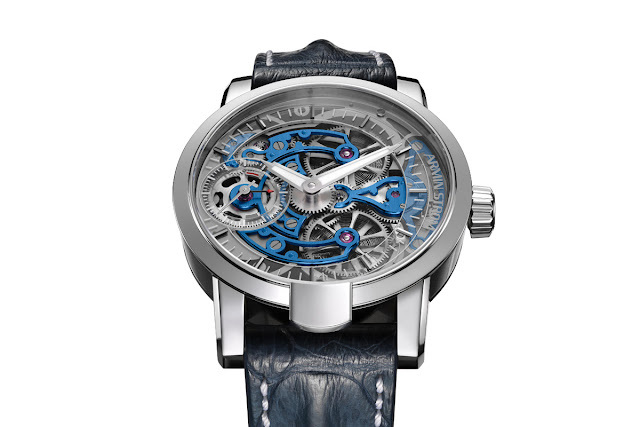 The mechanical architecture of the skeletonized movement is beautifully highlighted by the blued-PVD coated bridges which help the eye to appreciate its layered construction. The bridges receive their special finishing in an electroplating bath where the thickness is controlled with the duration of immersion and the current flow between the two poles. Housed in the 43 mm white gold case characterised by the signature "lip" on the bezel that can be hand-engraved with the owner's initials, the manual-wind calibre ARM09-S guarantees 8 days of power reserve thanks to its double barrel. The crown wheels are visible on the dial side. The movement features hours, minutes and - at 9 o'clock - small seconds and a power reserve indicator recognisable for the small red-tipped hand. 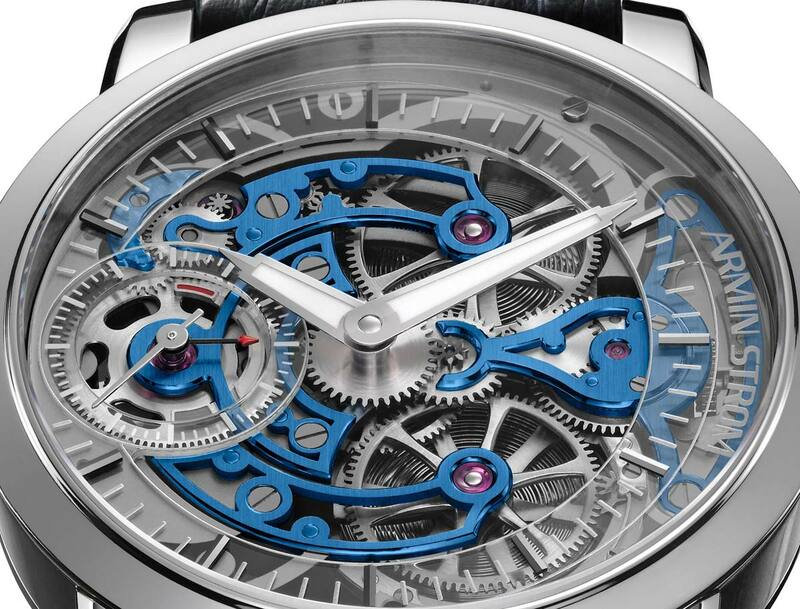 Comprising 146 components and 34 jewels, the fully sleketonized movement beats at 18,000 vibrations per hour. Its escape wheel and pallets are made of massive gold with hardened functional areas. 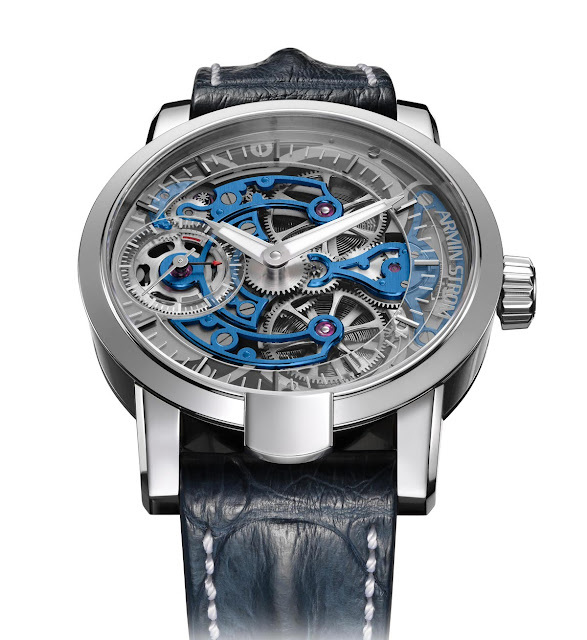 Armin Strom Skeleton Pure White Gold. Previously available in red gold, stainless steel, black PVD-treated steel and titanium, the Skeleton Pure - a Red Dot Design Award winning timepiece from Armin Strom - is now available also in a new white gold version. The Armin Strom Skeleton Pure White Gold will be produced in only 100 examples and will have a price of Swiss Francs 43,200.